Sony Ericsson recently added a new section to their developer world portal called Unlocking the boot loader. They provide all the information and tools needed to root some of their newer Android phones. Of course, this information comes from Sony Ericsson dripping with warnings, disclaimers and warranty-voiding rhetoric. Once you’ve waded through all of that, you’ll have to enter your phone’s IMEI number, your name and email address in order to get your phone’s unique bootloader unlock key. Here’s hoping they don’t use the form information to instantly void warranties. Unlocking doesn’t come without consequences, but from UI tweaks and performance improvements to custom apps and tethering, there are probably more reasons to unlock your Android device than there are reasons to leave it alone. In an age where people are making a fuss about companies adding stumbling blocks for would-be jailbreakers, it’s good to see that at least one of them is doing what they can to help hackers take the plunge. Anyone want to clear up why Sony Ericsson feels like supporting hackers but Sony sues people for doing similar things on the ps3? We are very inspired by the story of [Morris Mbetsa], an 18-year-old Kenyan who’s invented the “Block & Track”, an antitheft and tracking system for vehicles that’s phone-based. [Mbetsa] has no formal training, but he’s been a lifelong inventor and tinkerer. [Mbetsa] combined voice, DTMF, and SMS text messaging technologies with cellphone based services to allow the owner to control the vehicle’s electrical system remotely. The owner, using his cellphone, can take control of the ignition, and disable it at any time. Other features include the ability to lock the car remotely, and the capability of dialing into the car and listening in on any conversations taking place within the vehicle. [Mbetsa] is currently looking for funding to take his invention to the next level; we’re eager to see what he’ll come up with next. [Dave Fayram] has put out two videos covering the interface of the FreeRunner from OpenMoko. For those unfamiliar, we’ve covered it a few times before. It is an opensource mobile platform that includes a full X server. They encourage people to make their own software and even release the CAD files for chassis modification. Bezel around screen makes input difficult. On screen keyboard is tiny. It is marketed at around $400 so the comparison to an iPhone seems legitimate. We do need to keep in mind, however, that the FreeRunner is opensource. The more support we show to them, the better it will get. 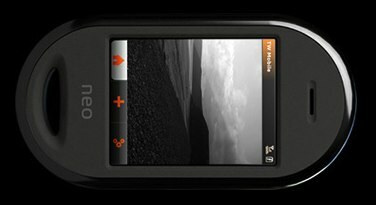 The thought of an opensource handheld platform, comparable to an iPhone is quite enticing. At this point though, the comparison is pretty one sided. Hopefully more software development and support from the community will make this device something to get very excited about. Adafruit Industries just announced their next kit: a SIM card reader. 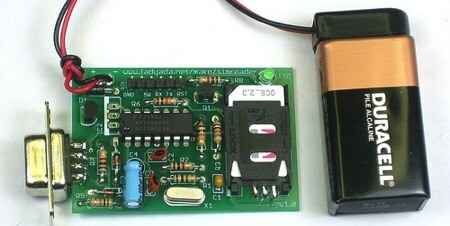 Using the kit, you can read or write any SIM card. You could use this for fun things like recovering deleted contacts and SMS messages. The kit looks like a very straight forward design (based on [Dejan]’s work); the only chip is a hex inverter and the board is powered by a regulated 9V battery. With all through-hole components, it should be easy to assemble. You can talk to it using the board mounted serial port or connect to the extra pin header using an FTDI USB cable just like the Boarduino. The FTDI option is bus powered, so you won’t need the battery. [ladyada] has collected some resources in case you want to learn more about smart cards. 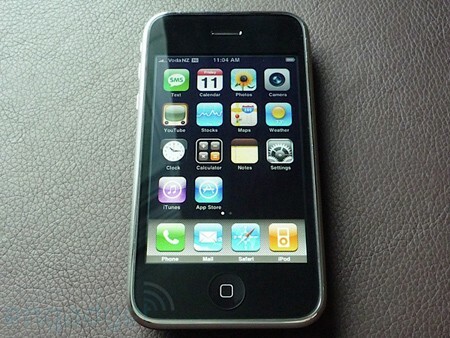 Over at Engadget, they’ve taken some time to completely review the iPhone 3G. Take a few moments to stop reading about all the trouble activating them and read about the phone itself. The case feels thinner than it is. The shape of the case makes it wobble on a hard surface. Call quality is greatly improved. They seem positive in their conclusion, we’ll have to wait and see how they feel after a little more time with it. A first look from Ars Technica at the newly released Neo FreeRunner phone by OpenMoko reveals some interesting information. There are three different software stacks available to use; the Neo FreeRunner will ship with the GTK-based stack, referred to as om2007.2. It offers conventional smartphone applications, but most importantly, it includes “full root access to a Busybox shell with all of the standard scripting tools like sed and awk”. The ASU stack is what OpenMoko developers are currently working on; there are promises of a more user-friendly experience. The FSO stack, also currently in development, aims to resolve the issues brought up by having different software stacks for the same phone. Since none of the stacks are considered “fully functional”, OpenMoko may have a difficult time attracting a mainstream audience. Hackers may be hampered by the lack of available documentation, although there are resources for OpenMoko enthusiasts, if you just search hard enough. The final conclusion? While OpenMoko may be difficult to use, it compares favorably to competitors such as Google’s Android platform, which is less flexible. Openmoko began selling Neo 1973 phones direct to developers last July. The phone is an open source project designed to ease development on mobile platforms. The Neo 1973 has since sold out, but a new Linux phone intended for the mass market has been released, the FreeRunner for ~$399. The screen is 640×480 with 3D acceleration and a 500MHz Samsung processor. The new phone has WiFi and 2.5G GSM support. It has some truly unique features like USB host mode support. You can find the differences between the two phones here. This new phone release should help strengthen the community since average users were discouraged from purchasing the original. Pictures of the phone’s internals and a component diagram can be found on the Openmoko wiki. We wish more manufacturers would explicitly tell us how to get console access.